We are looking for a company to suply us frozzen Grilld Aubergine. Dietlinde and I were in our local Supermarket a few days ago and I was presented with an aubergine and a “It was nice last time” comment. I obliged and scaled everything down except for the garlic so the end result proved quite strong!! No mutiny yet I’m pleased to report. I hope you are in good health and spirits. 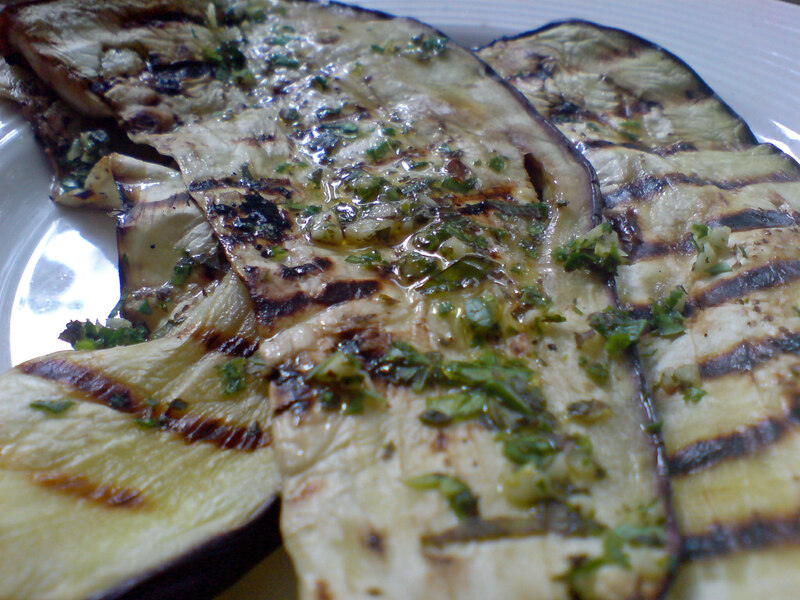 I thought you might like to know that I have made your grilled aubergine recipe five times and each time it has been really enjoyed. I have also given your web page address to friends who are interested in Italian receipes. So, my fame is spreading 😆 I hope the ladies enjoy it. Dietlinde enjoyed this recipe when I prepared it aabout a month ago and she asked me to prepare it again today; not for us to eat I must add. I am sure you will be pleased to read that she will let the ladies in her patchwork group sample your grilled aubergine recipe at their meeting in Klagenfurt tomorrow afternoon. Thanks for the explanation about antipasto misto. I was pleased to read that Frank has ordered a book. I really hope he finds the story interesting as well as entertaining. Hi John, nice to hear from you. I’m glad you both enjoyed the recipe. It is usually served as part of the famous antipasto misto along with many other dishes which is why I didn’t give the number of people it is designed to serve. That said, if you serve it on its own, four portions sounds about right. I spoke to Frank the other day and he tells me he has ordered your book on the international telegraph system, and is looking forward to reading it. I like the introduction to your web site. 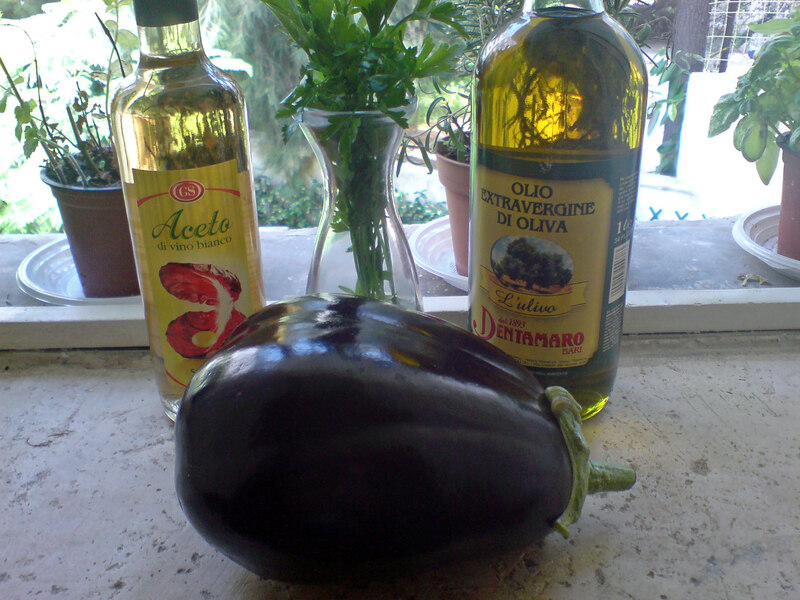 I prepared the recipe for grilled aubergines today and Dietlinde and I both enjoyed the result. I will certainly make it again. You might like to consider adding a note at the head of the recipe indicating how many people the ingredients cater for. I imagine this one is for four people. Thanks for the tip Maria. Some crusty Italian bread with this reciep and you havea meal. Also soak aubergines with coarse not fine salt.